HB70 • Bill aims to force judges to ask more questions before granting search warrants. Jared Francom, a 30-year-old Weber Morgan Narcotics Strike Force agent, died Jan. 5, 2012, after a shootout at the Ogden home of M Trent Nelson | The Salt Lake Tribune Supporters of the Ogden Police Department stood on as marchers passed in memory of Matthew Investigation photos Matthew David Stewart's house in Ogden is seen after a shoot out with police on January 4, 2012. 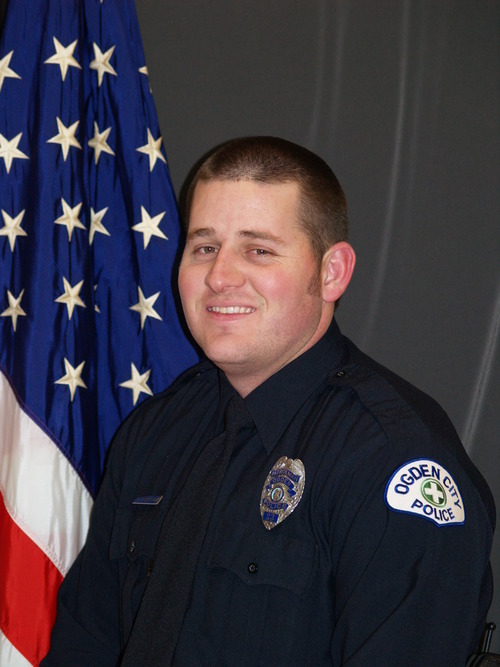 Jared Francom, a 30-year-old Weber Morgan Narcotics Strike Force agent, died Jan. 5, 2012, after a shootout at the Ogden home of Matthew David Stewart. 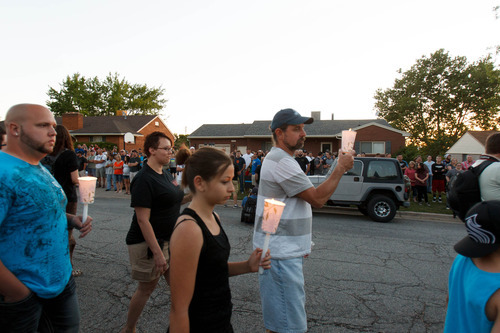 Trent Nelson | The Salt Lake Tribune Supporters of the Ogden Police Department stood on as marchers passed in memory of Matthew Stewart, Wednesday June 5, 2013 in Ogden. 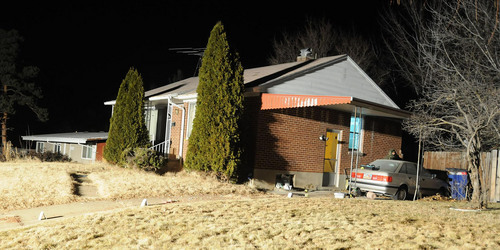 Investigation photos Matthew David Stewart's house in Ogden is seen after a shoot out with police on January 4, 2012. Supporters of a bill that would improve judges&apos; oversight in approving police search warrants say the ­­ legislation should make serving search warrants safer for both suspects and law enforcement. House Bill 70, filed Wednesday, aims to change the wording in the current state law that governs forcible entry by law enforcement while conducting searches or making arrests. • Why law enforcement officers are unable to detain the suspect or search the residence using less invasive or confrontational methods? • Why the warrant cannot be executed during daylight hours? • Why no investigative activities are needed, or what investigative activities were done? Connor Boyack, director of Libertas Institute, said the libertarian group supports the bill, which he said will change a search warrant policy that is overly broad. By targeting a "reasonable standard" for all judges to follow, he hopes the amendment to state law will make search warrant executions less violent and less potentially deadly. "We believe this is the best approach on this topic," Boyack said Wednesday. "We believe that it&apos;s reasonable, and we&apos;re very content with the language that the bill currently contains." The bill&apos;s sponsor, Rep. Marc Roberts, R-Santaquin, was not immediately available for comment. While there a number of cases where the execution of search warrants has turned violent, Boyack has said the January 2012 raid of Matthew Stewart&apos;s Ogden home was a clear catalyst for changing the search warrant law. On Jan. 4, 2012, the Weber Morgan Narcotics Strike Force served a knock-and-announce warrant at Stewart&apos;s home that quickly turned into a gun battle in which Agent Jared Francom was killed and five other officers were wounded. Stewart, who was being investigated for marijuana cultivation, was also wounded. According to court documents, 16 pot plants were found in his house after the raid. Stewart, 39, was charged with aggravated murder, seven first-degree felony counts of attempted aggravated murder and one second-degree felony count related to alleged marijuana cultivation. He committed suicide in the Weber County jail in May. Stewart&apos;s sister-in-law, Erna Stewart, said Wednesday that her family supports HB70. She said she hopes it shows the "good" their family wants to do, and helps makes positive changes in the community. "I&apos;d really like to break away from the stigma that my family is a group that is anti-police," she said. "We are very much pro-police, [we] just think that things could be done differently or in a safer way. I think the bill reflects our views."